Running Press Kids, 9780762462223, 304pp. Join Elmo, Abby, Cookie Monster, and all their friends in this delightful collection of stories all about the alphabet and counting. Help Elmo to decide which letter is his favorite (is it A, B, C, or maybe even Z?) and enjoy silly stories featuring one of each of the twenty-six letters in the alphabet with all your favorite Sesame friends. Next it's time for some numbers fun with kids favorite Sesame characters as they learn the basics of counting from one and beyond! 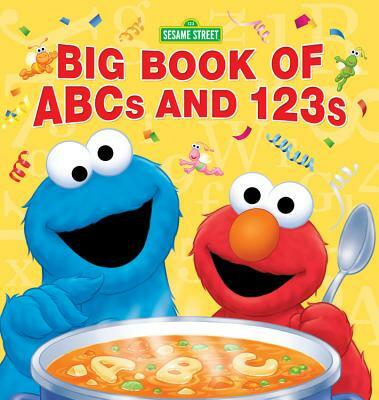 Combining learning with story-time fun, children and parents are sure to welcome this new big book of ABCs and 123s into their personal library. Sesame Street debuted in 1969 and has been defining children's programming ever since. More than 90 million kids have watched Sesame Street in over the past four-and-a-half decades. Sesame Workshop is based in New York City.